Maxim Gunn is an agent for the Organization. The Organization, for this highly secret member of the British Intelligence community has no official title, has a nearly unlimited budget and is answerable only to the Prime Minister. Its mission is to take care of those problems that are beyond the scope or capability of the other agencies. Considering the witchcraft, demonology, monsters, and such that Gunn has to fight, it's understandable how traditional teams might not be qualified. Gunn, however, faces them all with panache, as though outré is normal. While he might not believe everything he sees at first glance, he seldom seems overly ruffled no matter how bizarre. Gunn appears to be a modernized version of James Bond in that he is dashing, debonair, sophisticated, and is used to and much enjoys the finer aspects of life, including driving a Lamborhini to all the right clubs. Instead of a Walther PPK, however, Gun prefers the stopping power of a .357 Magnum. Considering the nature of the enemies he has to face, it is a good thing he carries such fire power. As the series opens, Gunn has been an agent for a considerable number of years and is truly believing that the law of averages was catching up. Knowing it was just a matter of time before Lady Luck didn't favor him, he felt quitting was in order. When thrown in is the mutual dislike he and his boss feel and the desire for a "normal" life, his discontent is strong. But there always is one more catastrophe to take care of. The evil but skillful Wanda Liszt has acquired Sheba's Necklace, a powerful talisman which is helping her create chaos in numerous African nations with the intent of stepping in and controlling things after the collapse. Maxim Gunn is ordered to stop her. 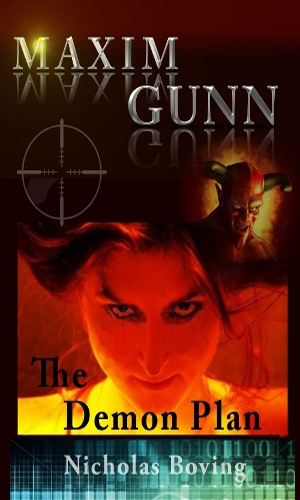 Maxim Gunn had thought he'd quit the Organization but then word comes that the evil Wanda Liszt was not as dead as believed, or else had returned from the dead, and was planning to get her revenge on the group, with emphasis on Gunn. The Serpent Force is a strange power said to come from the alignment of all the stars in the solar system. One man knows how to harness this power and he is using it to take power he feels he deserves. 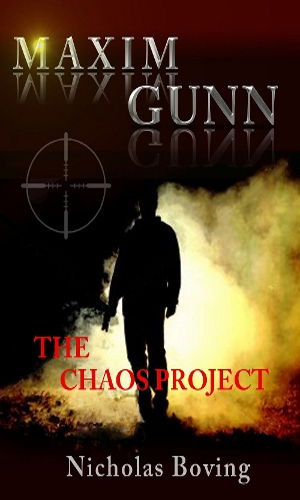 Maxim Gunn is asked by the Prime Minister to stop him. Local women have been kidnapped by a group called the Cleitans, possibly survivors of long-lost Atlanta. 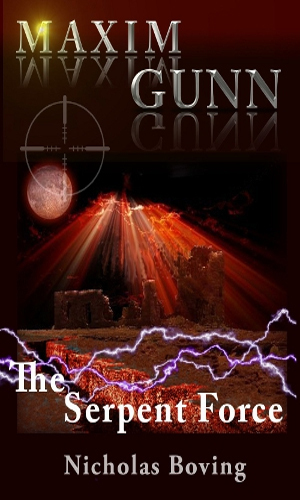 Maxim Gunn makes it his mission to get the women back but things get even more serious when a nuclear weapon is brought into the picture. 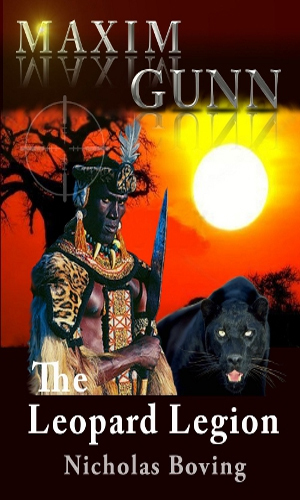 Having a meal with his friend, the Emir of Ladi, Maxim Gunn learns that a master criminal masquerading as a Witch Doctor and would be country leader is ready to take over a good part of Africa unless Gunn can stop him. 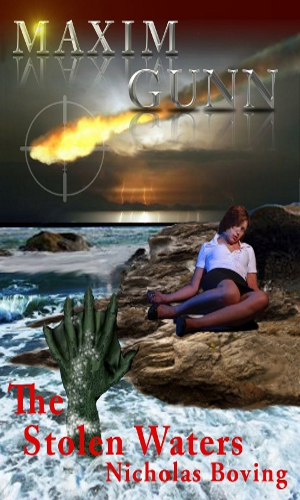 A princess from a small European nation is kidnapped while in Central America and the perpetrators are followers of an Aztec sun god, who have even bigger plans than ransom unless Maxim Gunn can stop them. Written in a light-hearted manner, tongue in cheek at times, the limited run series is entertaining, at least for a while. My days of liking stories of ghosts and goblins, witches and warlocks, and the like, are mostly gone (except for a devotion to F. Paul Wilson's incredible Repairman Jack series) so the interest in Maxim Gunn waned quickly. I prefer my spies to fight more ordinary opponents. I was told by a fellow spy-fi fan that the Gunn series was actually intended to a younger audience, which is believable. That does not mean, however, that they aren't also meant for adults. I liked the character and the action. It was just the adversaries that I tied of. All of which means that if Mr. Boving were to try his hand at something else, I'd be interested in reading it. I'm a little prejudiced here as Nick is not only a close friend, but because I will be collaborating on the future Gunn and Frances West (Castle Dark) novels and eventually take over the series keeping in Nick's style. 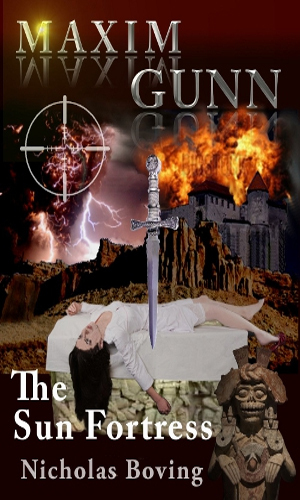 The Gunn books will soon be released in paper omnibus editions of the first six books. The latest is Sheba's Necklace (available now)and features the ultimate confrontation between Gunn and Wanda Delicht his chief antagonist and is a longer tale (around 90,000 words the length of future volumes). I am currently in the process of editing and rewriting the next Gunn with Nick and hope I can do him and Gunn justice.